The MVUA is a time delayed auxiliary relay for general applications in protection and control schemes applied to electrical power systems and industrial process plant. 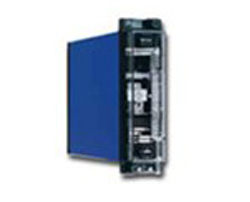 A wide range of contact configurations is available with a self reset mechanism. In addition to the normal duty contacts, heavy duty contacts fitted with blowout magnets are available. The only model currently available is the MVUA 11 time delayed auxiliary relay with a self-reset output element. It may be used where a delayed operate/delayed reset or pulse operation is required.